I recently signed up to YouTuber Channon Rose's subscription box service. Channon Rose is an American lifestyle and beauty vlogger, and I've been watching and enjoying her videos for a while now. After seeing unboxings of her first ever subscription box - which was released two months ago - I realized it was something I would enjoy. And as her second release would be the Halloween edition I made sure to sign up just in time to receive the Halloween themed box! The box arrived at my home the day before Halloween. The box itself was white with a pretty design on the front and had '#Rosefam'' printed on the side. Upon opening it a few pamphlets placed above the items teetered out. 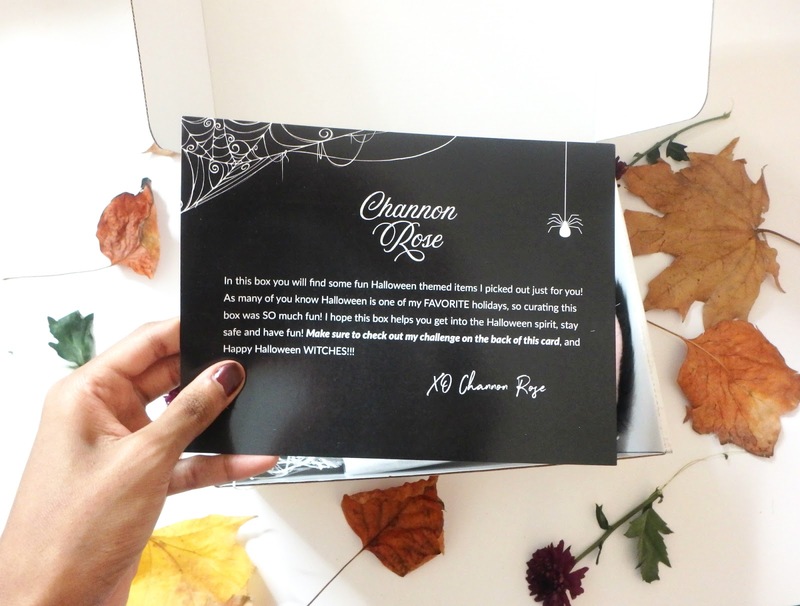 These included a Halloween-y message from Channon, descriptions of all the items inside, a hint pertaining to the next box and a 'Postive Energy Challenge'. 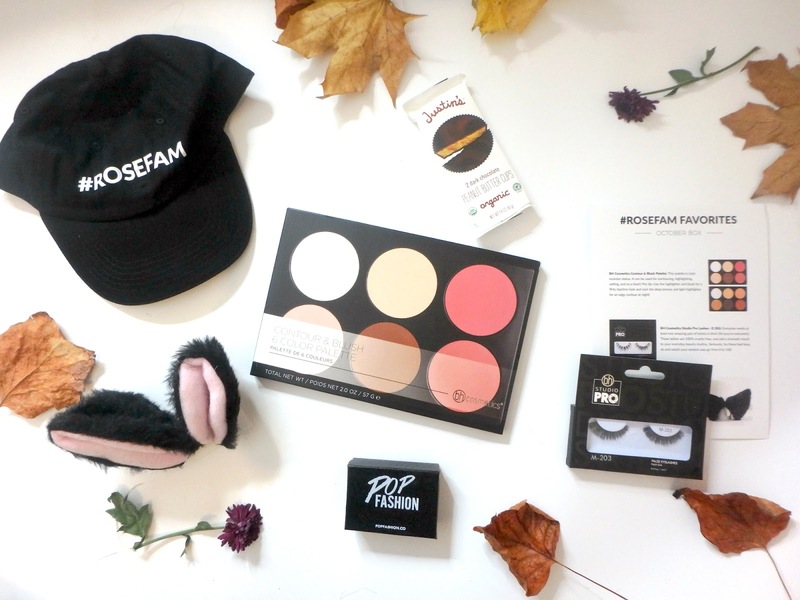 The first item that caught my eye in the box was a cute, grungy #Rosefam Hat. It was cool to receive Channon Rose merchandise and to feel part of a #squad. Then there were some BH Cosmetics Studio Pro Lashes, which made me very happy. I love false lashes. But despite that I always find myself nervous when purchasing them, as for some reason I don't seem to be very good at it. Meaning, I'm not always happy with the lash purchases I make upon actually wearing them - with them often looking either more subtle or more overpowering than I had hoped. With that being said I was very happy to see that someone who actually knows their stuff had selected lashes that they believe to be worthy. I'm looking forward to trying these on as I'm sure they're going to be great! 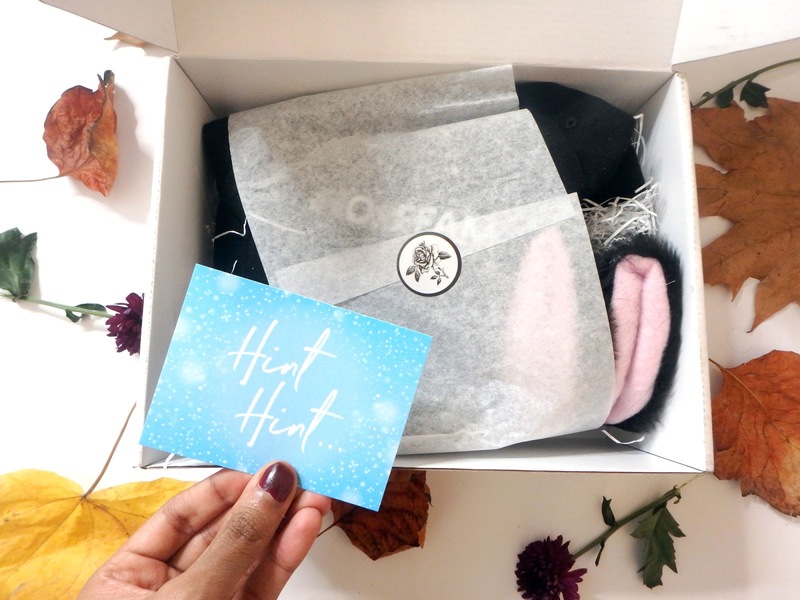 What really drew me into investing in this subscription box was the fact that it's a lifestyle box rather than solely a beauty one, and I was keen to receive accessories alongside beauty products. With that in mind I was pleased to receive a Black Choker in this month's box, which is definitely right up my alley. I've recently been pondering the fact that I don't wear chokers as much as I used to and how that needs to change. And this new addition inspires me to do so! There were also some Furry Cat Ears in the box. As the box came right in time for Halloween the cat ears, choker and lashes combine to make a cute last minute Halloween look. Had I actually had plans for the day (sad face) I definitely would have implemented this, as I found myself stuck for costume ideas this year. I like the fact that Channon seems to often include vegan snacks in her box, especially as I've recently gone dairy-free. This month's box included a Justin's Dark Chocolate Candy Bar, serving as a slightly healthier treat for Halloween. 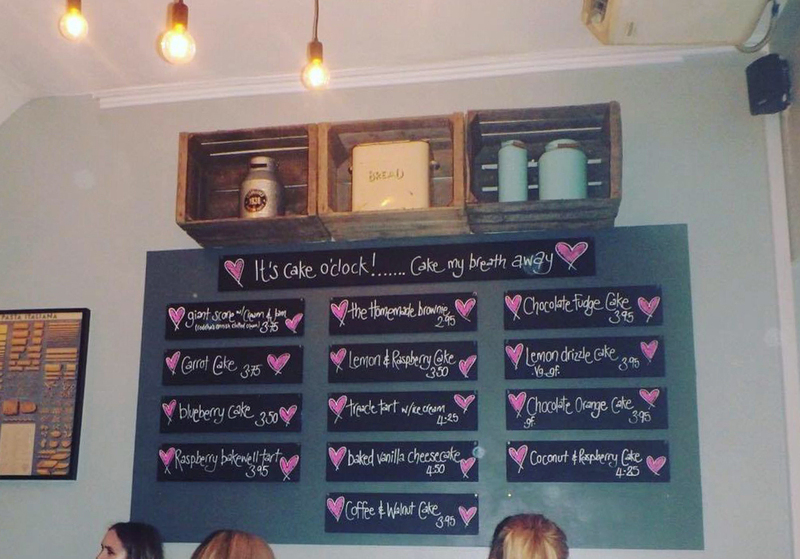 I unfortunately can't try this bar as I have a nut allergy. So I'll have to give it to someone else and wait for their verdict on how it tastes! Lastly came the BH Cosmetics Contour & Blush Palette, which I would crown the most exciting and visually pleasing item in this month's box. I have never actually properly contoured before. And I have only started using a highlight very recently (blog post featuring my first highlighter coming soon). So this palette appearing at my doorstep now gives me a perfect excuse to finally try my hand at contouring. And it looks to be a great product to jump in with. I'm very much looking forward to experimenting with this palette and seeing what looks I can come up with with its assistance! To conclude, I would definitely recommend this subscription box, and even to those who aren't familiar with Channon Rose. This box is curated by someone who knows their stuff, so you can expect some high-quality products and accessories, whilst paying a low price. The fact that the box comes every two months also makes it more affordable. Being in the UK it's also fun to receive US products without the usual hassle. The box is also stated to be eco-friendly. You can sign up to the Channon Rose Subscription Box here. 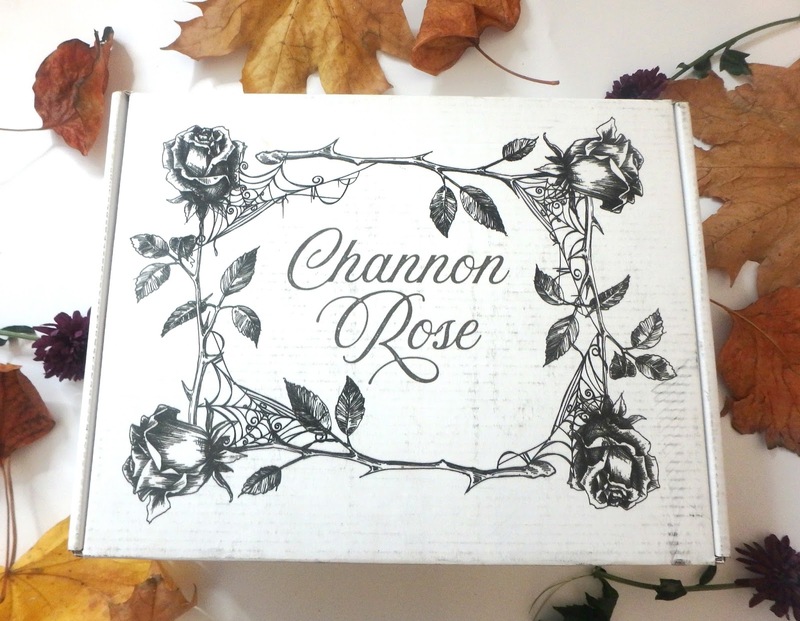 What's your favourite item in the Channon Rose October Box? 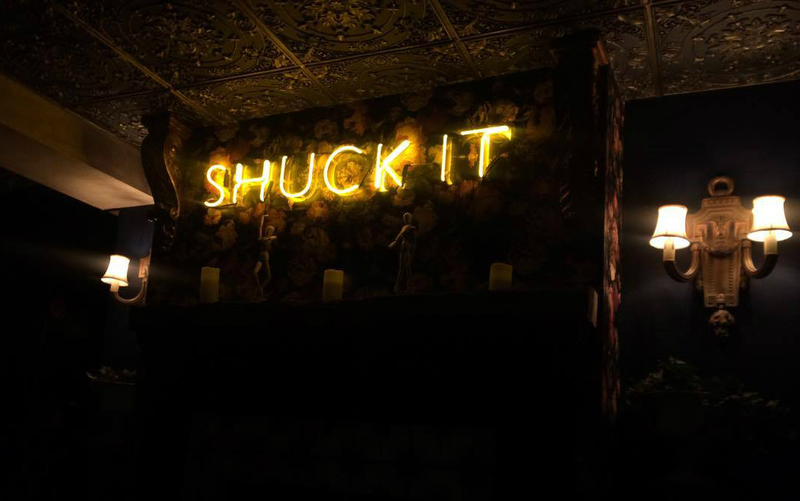 A secret cocktail venue, a curious, dimly lit oyster bar and a cake shop opening its doors at night? Intrigued? 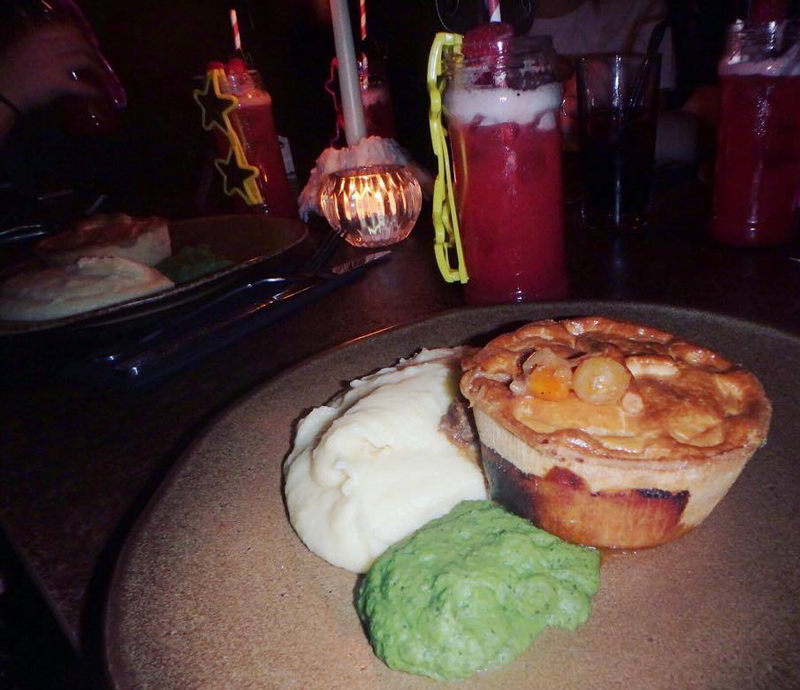 Keep reading to find out about my experience at the mysterious Nottingham Secret Dinner club. 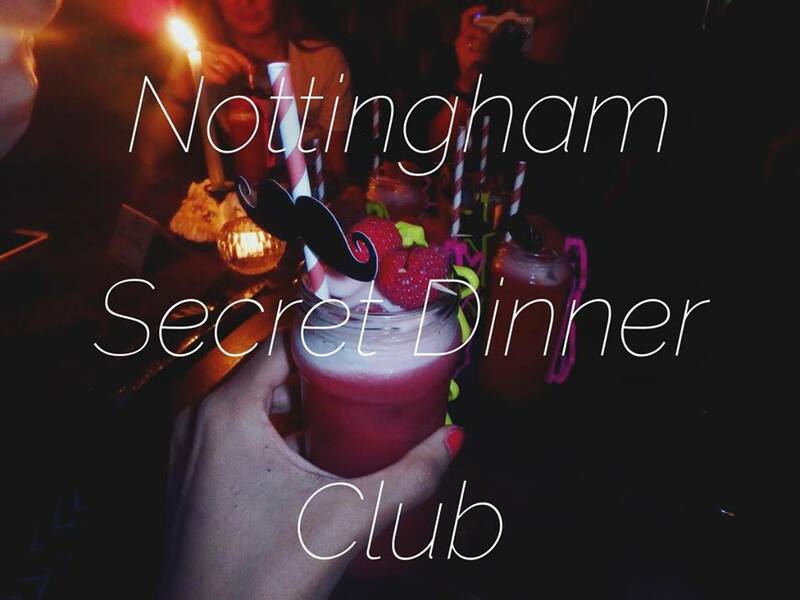 Last month I was sent an invitation by It's In Nottingham to the first ever Nottingham Secret Dinner Club. 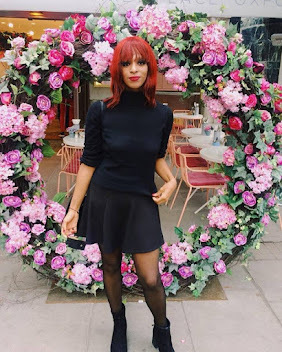 The invitation was very elusive, only including a date and time and stating that the event would be hosted across three 'top-secret' venues. Then as the date drew closer I was sent another email revealing the meeting point for the night; the left lion on Market Square. 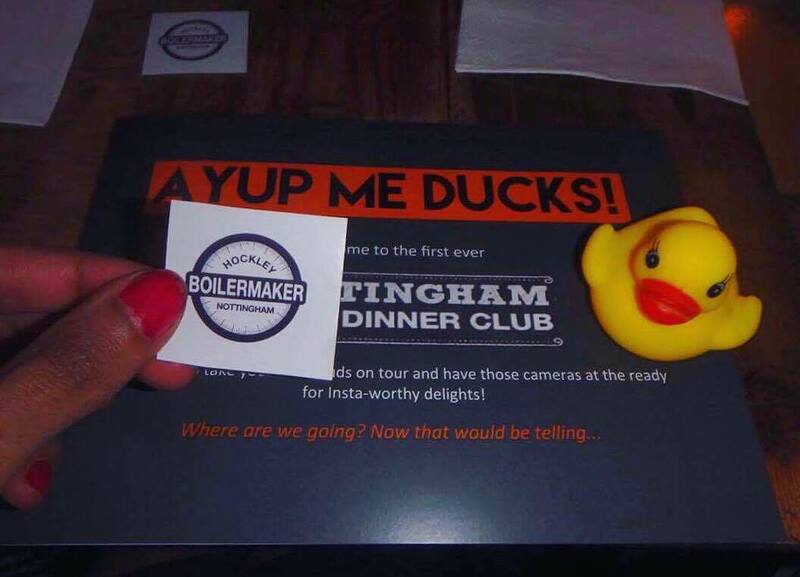 When I arrived on the evening of the event I was greeted by the Its In Nottingham team, as well as a dozen or so other bewildered but excitable bloggers. Once we were all gathered it became clear that the details of the night would continue to remain a mystery, and that we would only find out where we were going once we arrived at each venue. Exciting! 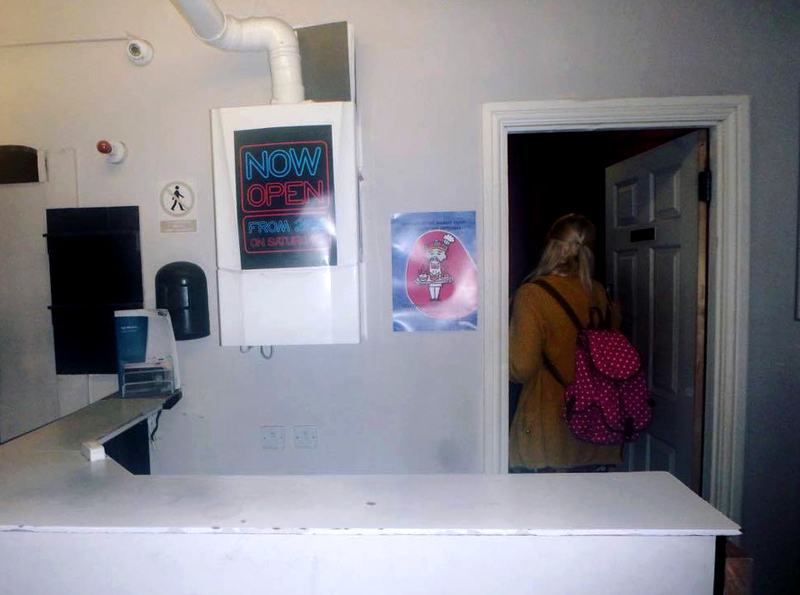 We were led from Market Square towards Hockley, until we finally came to a halt outside a . . boiler room? It took me a couple of seconds to realise this was in fact the infamous Boilermaker, a cocktail bar hidden behind the guise of being a rundown boiler room. 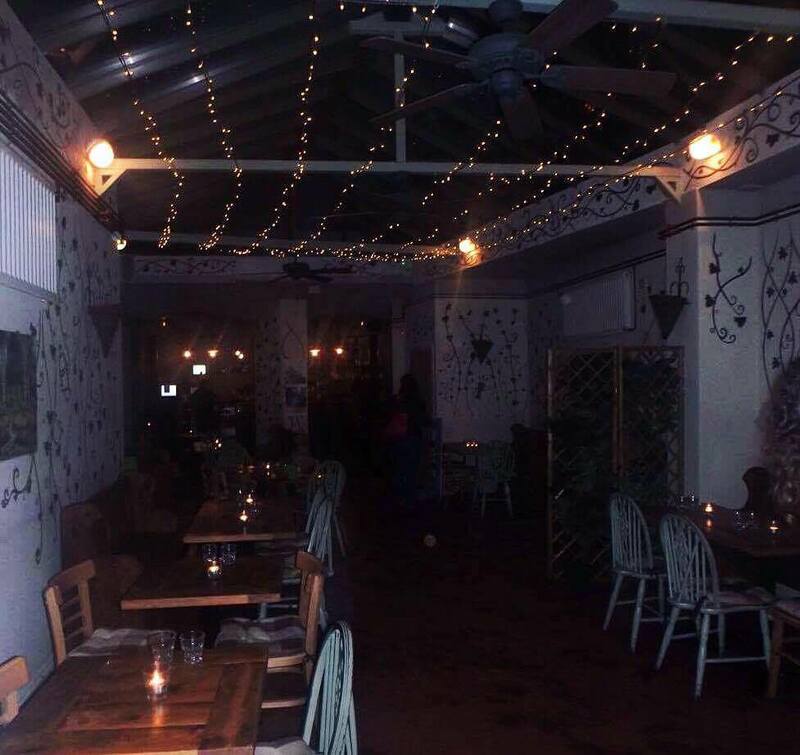 We walked through what looked like a toilet cubicle door and found ourselves in a pretty, fairy light and candle lit bar. 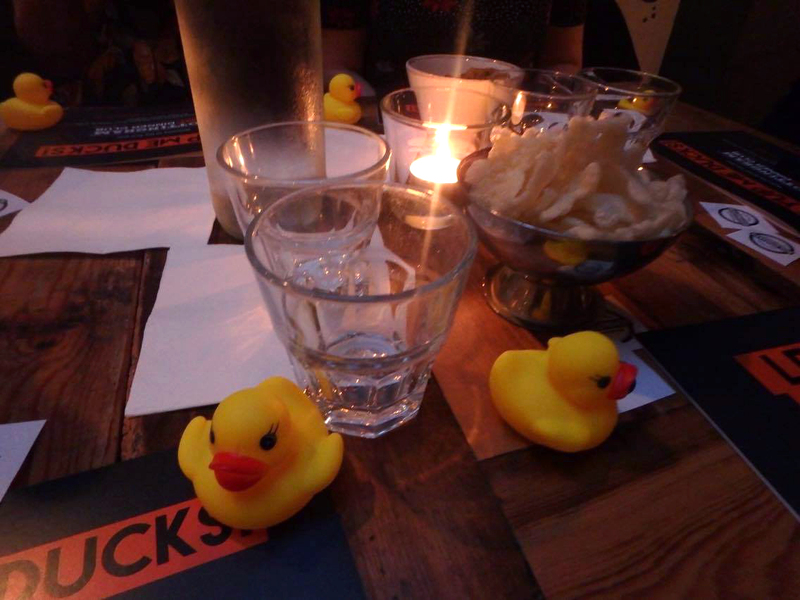 There were tables set up for us, decorated with rubber ducks (ducks being integral in Nottingham culture) and candles. We were given bowls of snacks to nibble on whilst we settled down and mingled. And then finally we were presented with cocktails, which had been custom made for the night. 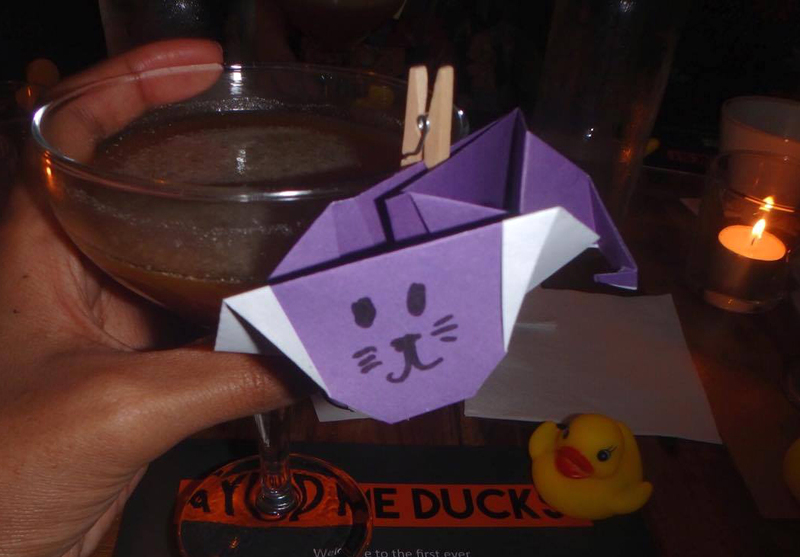 Each cocktail was presented with an origami lion, which was a nice touch. The Left Lion cocktail - we were told - was a tribute to Nottingham. And the cocktail itself contained locally sourced ingredients representing the best of the city. 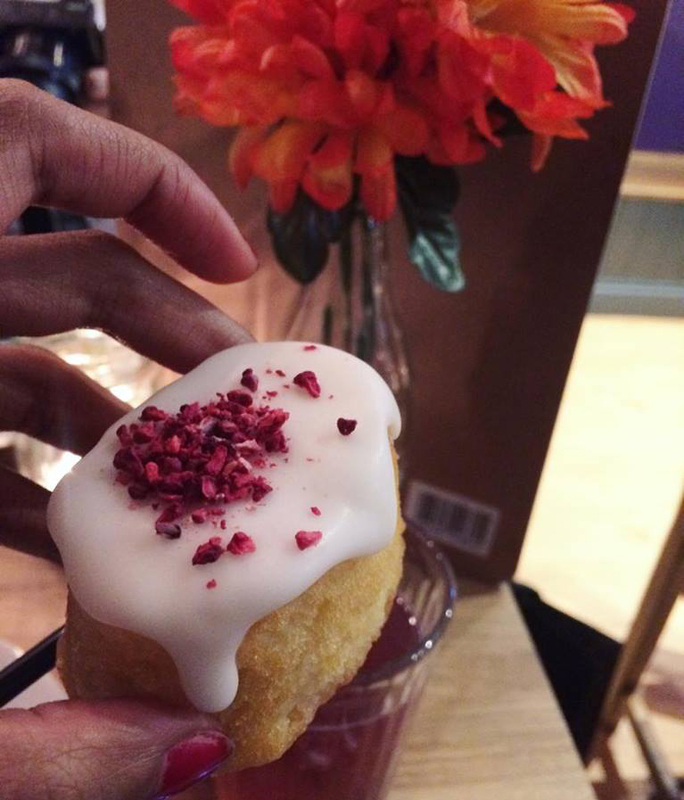 The ingredients of the cocktail included Outpost Coffee, Brokers gin, Tonka bean liqueur, and even Doughnuts from Nottingham Doughnut Company. I loved this ode to Nottingham, especially coming from such an integral Nottingham drinks venue. After our time in Boilermaker we were led around the corner to The Curious Tavern. I had been intrigued by the Nottingham's Curious venues for a while and this was my first time setting foot in one. 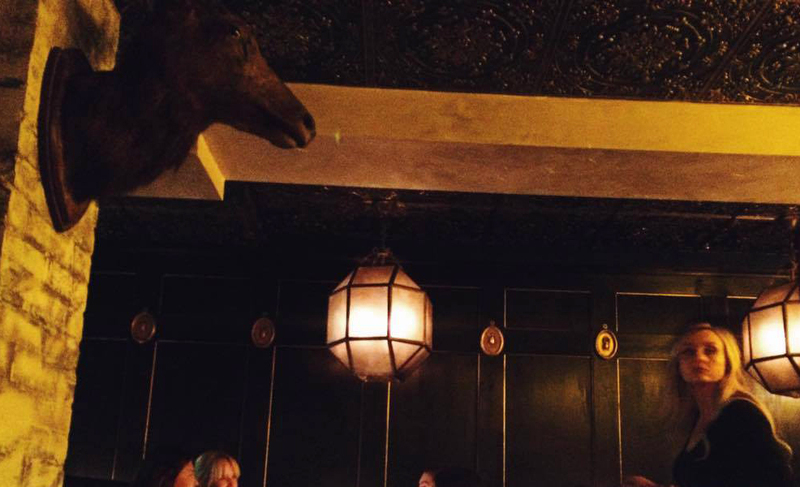 The Curious Tavern was dimly lit with a suave interior; the moody yet comfortable atmosphere very in keeping with the theme of the night. 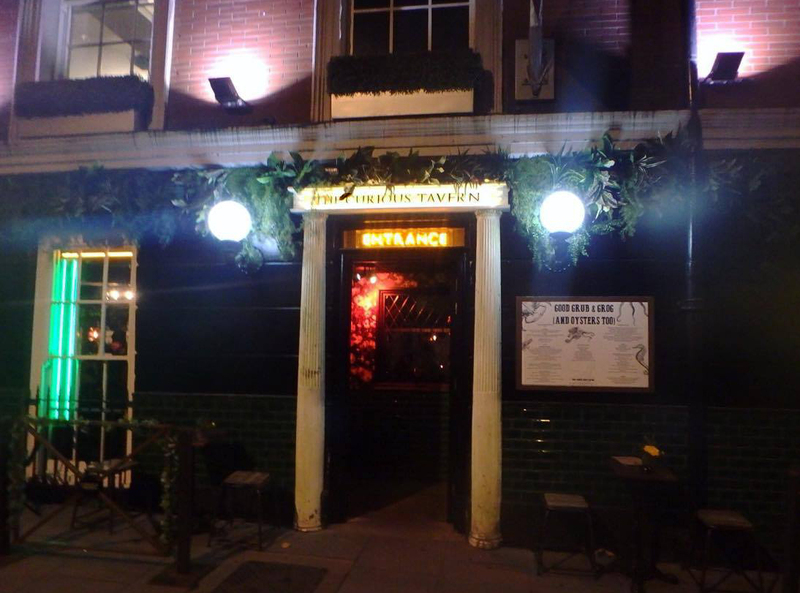 The Curious Tavern specialises in oysters, but also has a variety of other wholesome foods on the menu. 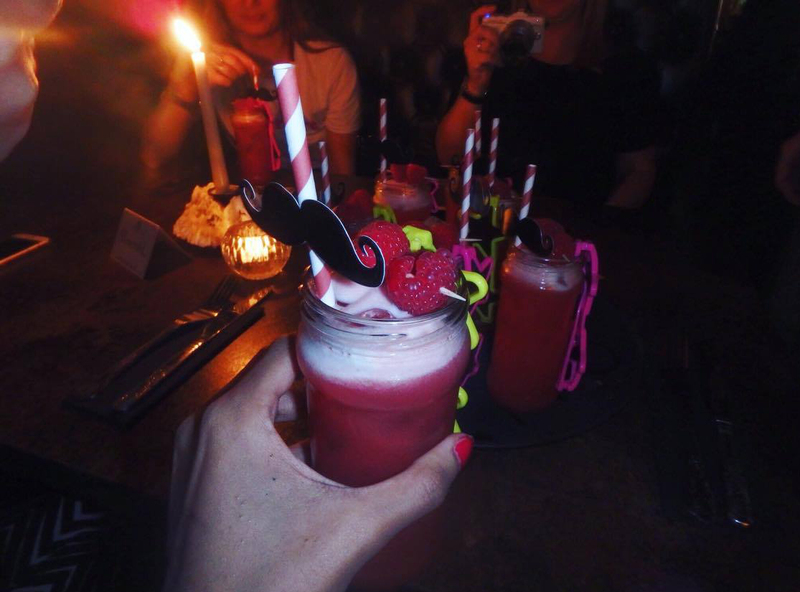 We were first served the colourful 'Selfie' cocktail, complete with attached selfie paraphernalia including retro sunglasses and fake moustaches. The cocktail itself was gin based with rhubarb liqueur and raspberry puree and was very tasty. 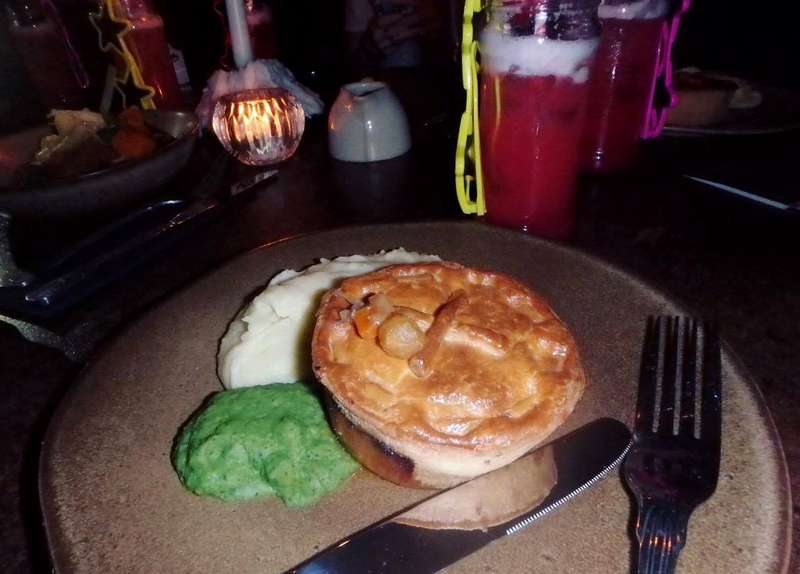 Then we were served our main meal of the night; a beef and stout pie with a side of mashed potatoes and pea puree (vegan options were also given). Pie isn't something I would normally choose from a menu, but the meal was in fact really good and I'm very glad I got to try it. By the time we were done at The Curious Tavern we had guessed that the next place would be somewhere where we'd have dessert. 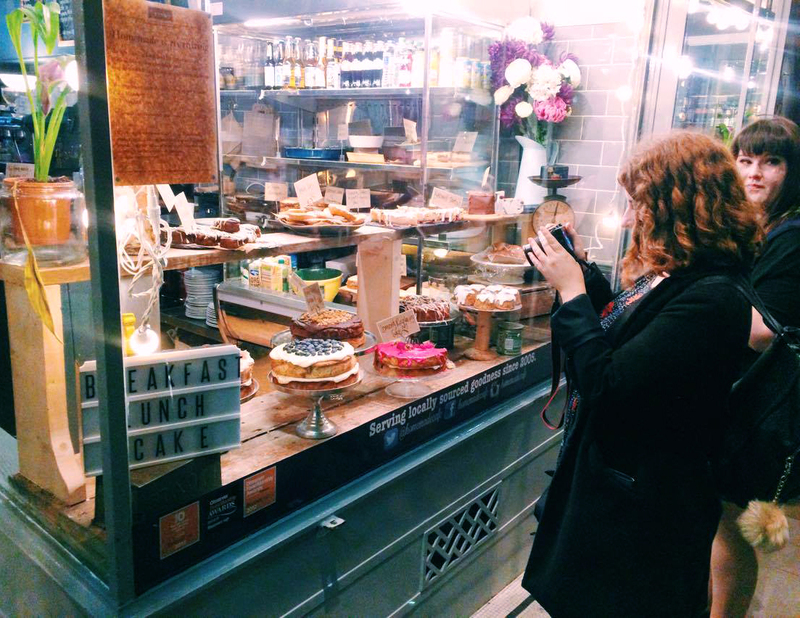 And that place turned out to be Homemade cafe, a cake shop and cafe in the direction of Market Square. Once we got to the cafe we were greeted warmly and found our tables already set for us. 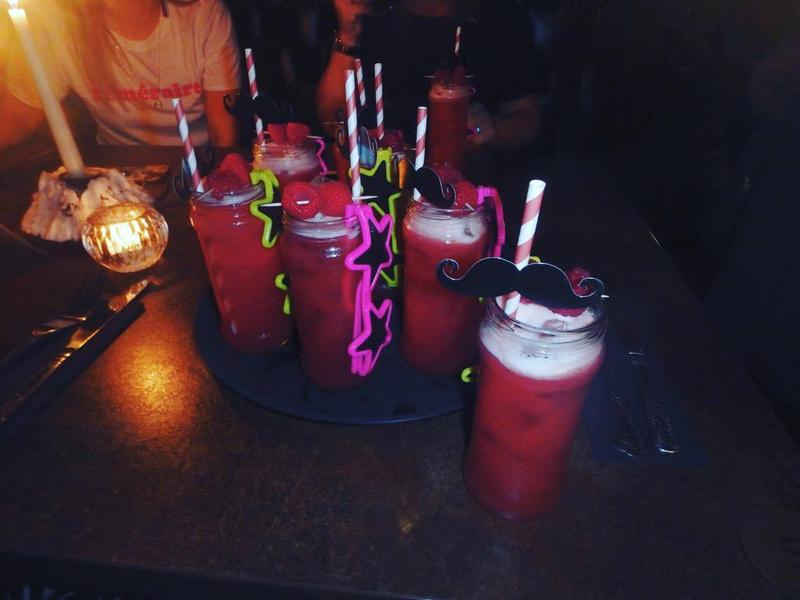 Each place was already served with a plate containing a range of delectable looking cakes with an accompanying sparkling pink drink, and each seat was aligned with a generous goodie bag signifying the night coming to a close. 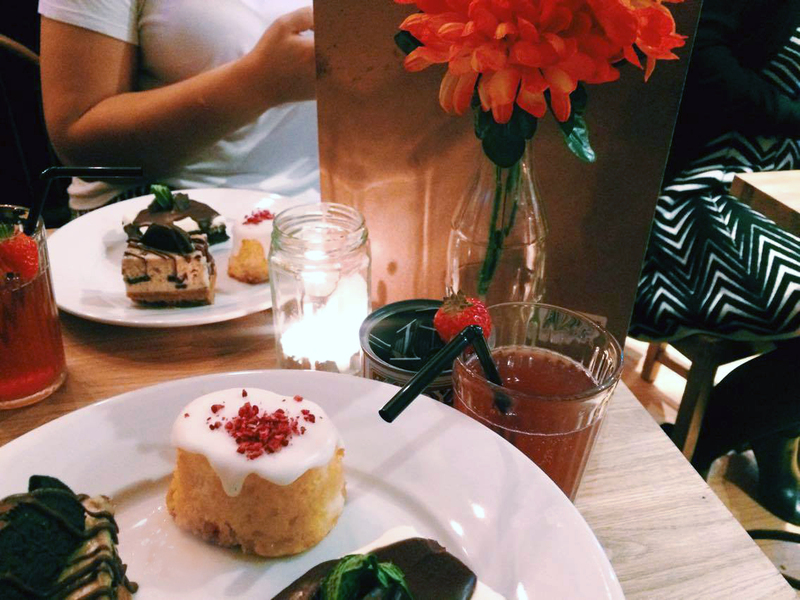 Once we were all comfortably sat down we were told that the cakes in front of us were After Eight brownies, Raspberry and Lemon cakes and Oreo cheesecake slices. There were also other choices for those with dietary requirements. 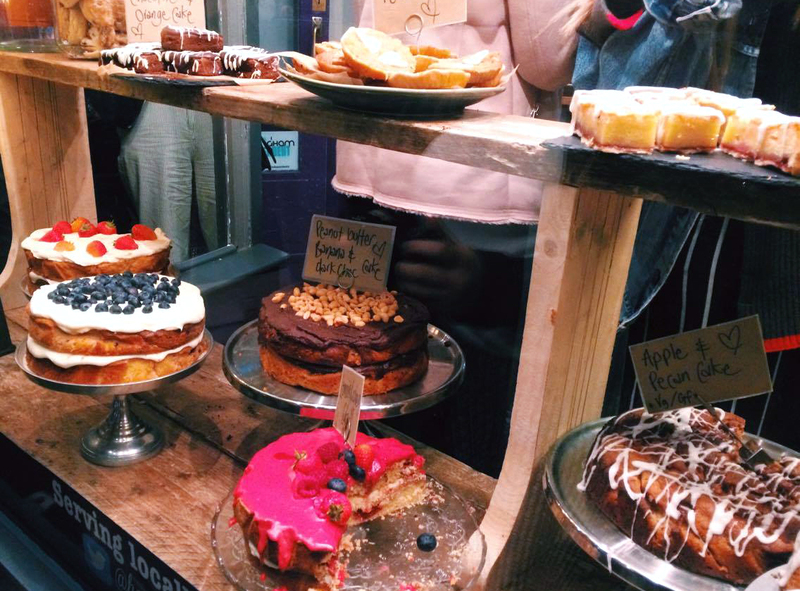 I was actually amazed at how good the cakes tasted. 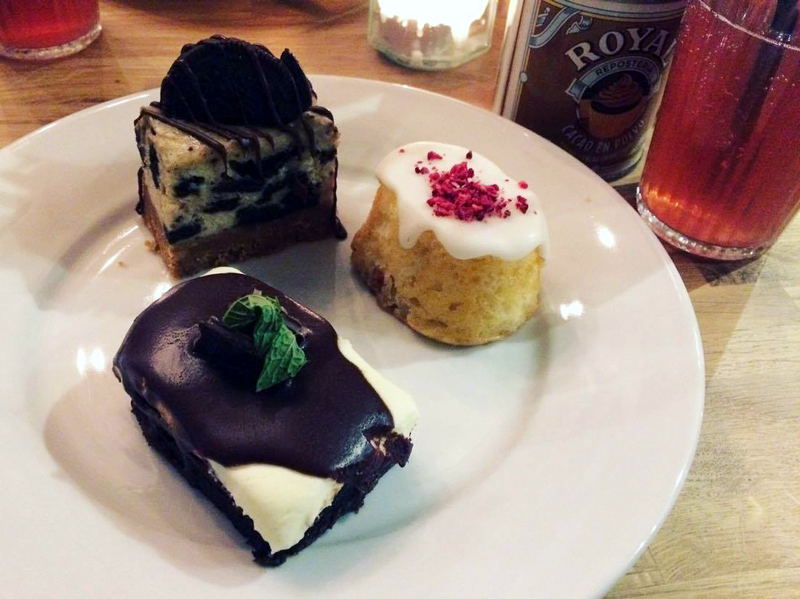 The After Eight brownie was so rich and indulgent in the best way possible. The Raspberry and Lemon cake tasted crisp and refreshing and surprisingly flavoursome, despite seeming simple on paper. It was also vegan. 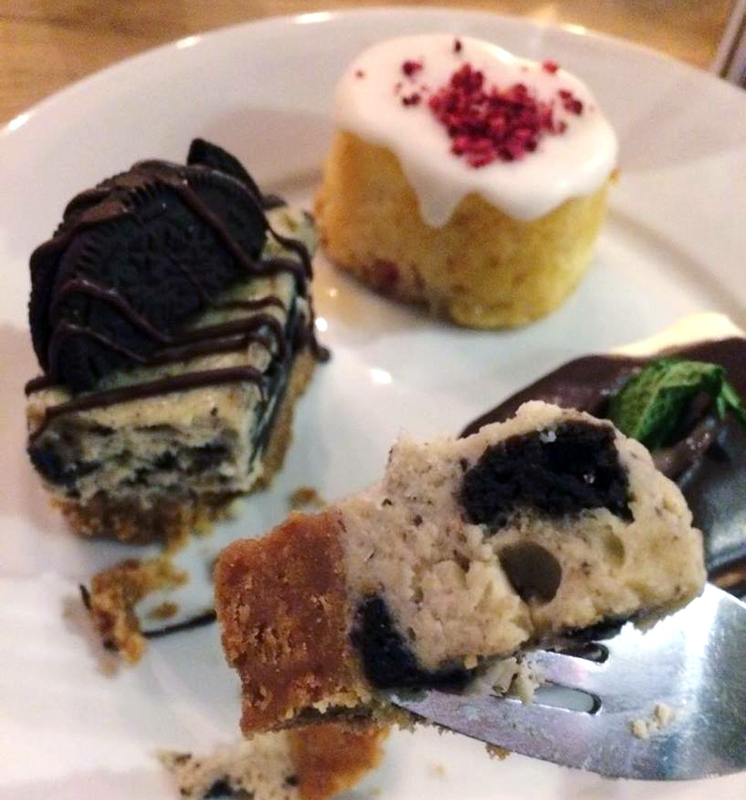 The Oreo Cheesecake was less sweet in comparison to the two others but just as good. 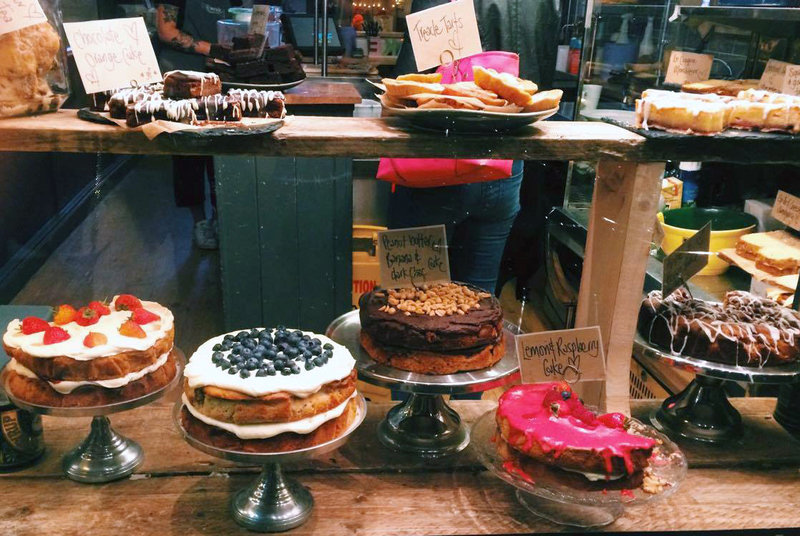 I left Homemade very full but also anticipating trying more from their cake selection in the future. All and all I had a great evening and really enjoyed the concept of the night. 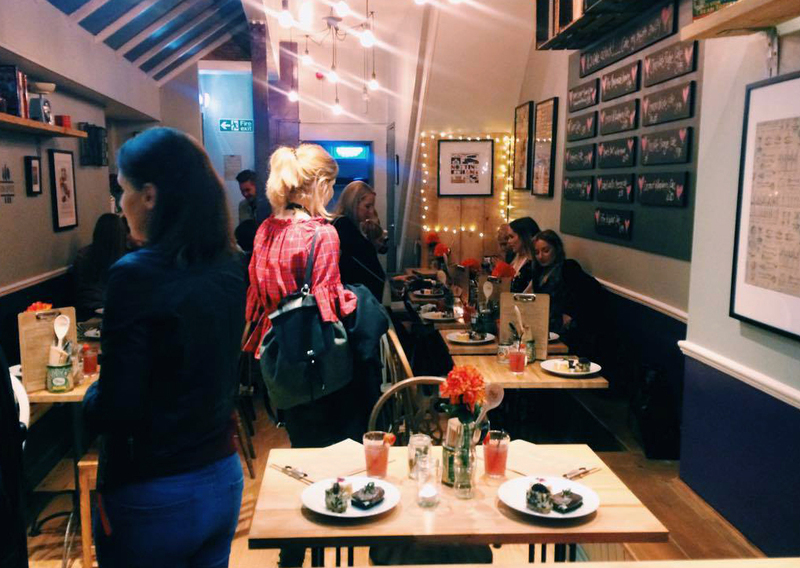 Thank you to It's In Nottingham for hosting the event and to the three great venues for having us and providing such great food and drinks!